Customisable up to 350" diagonal and compatible with industry standard video wall sizes. PQ Labs overlays are a fast and simple way of converting standard video walls into huge multi-touch displays that can be used for digital signage, broadcast, electronic whiteboards, interactive education, trade shows and exhibitions. Supplied with all necessary fixings the overlay frame attaches to the front of the video wall, plugs into the USB port of a Mac or PC and a power source and that´s it - the video wall has become a multi-touch touch screen. 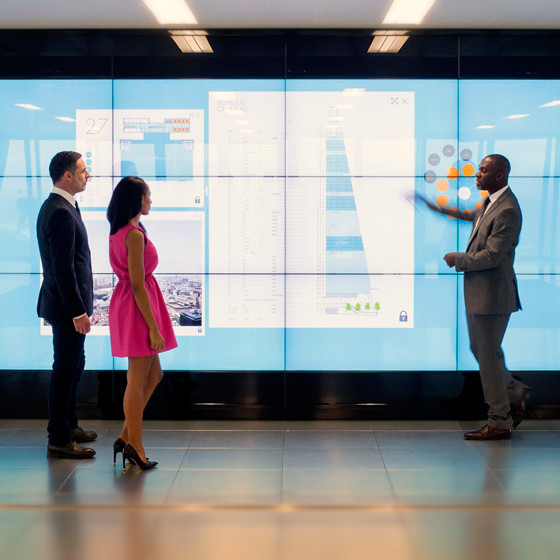 The PQ Labs multi-touch frames are compatible with the industry standard sizes of 46" and 55" video wall modules manufactured by NEC, Samsung, LG and Planar. Please refer to the tables below for details. PQ Labs overlays use LED Cell imaging technology which offers accuracy, clarity, reliability, durability, as well as support for multi-touch gestures. The PQ Labs overlay is available in three different versions according to the number of touch points: 6-touch point Basic, 12-point Standard and 32-touch point Plus. Touchtech Lima is a premium multi-touch software solution. 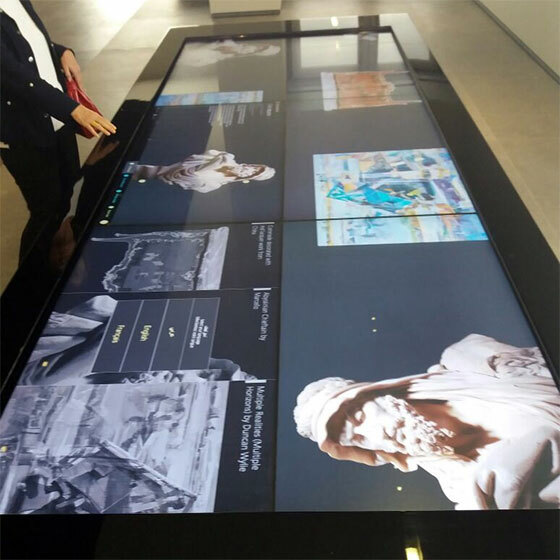 It is designed for multi-touch table and wall displays to create interactive presentations using your existing files (pictures, videos, and documents etc). NUITEQ´s multi-touch software product Snowflake Suite is a premium multi-touch software solution. It is designed for multi-touch table and wall displays to create interactive presentations using your existing files (pictures, videos, and documents etc). MultiTouch pack from Aduma is all about engaging touch presentations. It is used across a variety of markets whenever there is a need to captivate and engage an audience. Omnitapps Multi Touch Suite is the fully customizable (multi) touch application suite. It offers a collection of applications that offers you a unique way to present your products or services.